Poland posesses a very straightforward identity. 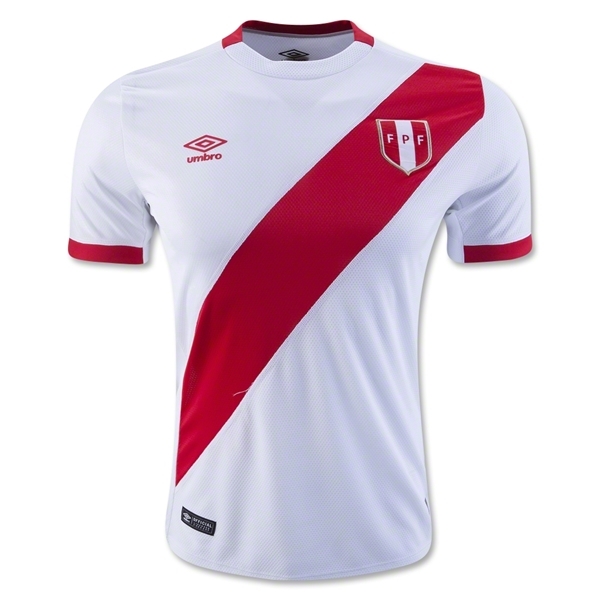 Like the Polish flag, the national team’s look is minimalist. White and red. 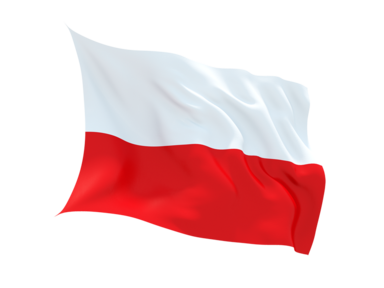 And, despite plenty ofcompetition, Poland do the white-and-red thing as well as anyone. The current Poland home jersey. What sets Poland apart, just slightly, is the way the Polish national soccer team has expanded what it means to wear white. They’ve pushed their white look to include a range of greys and silvers. And that makes all the difference for our Poland ribbon. We’ve incorporated some greyish silver tones as well. Inspired directly by the ribbon that borders the presidential standard, and the silver tones on the current Poland jersey, we’ve embraced the idea that silver and grey can be a beautiful accompanying color for Poland. 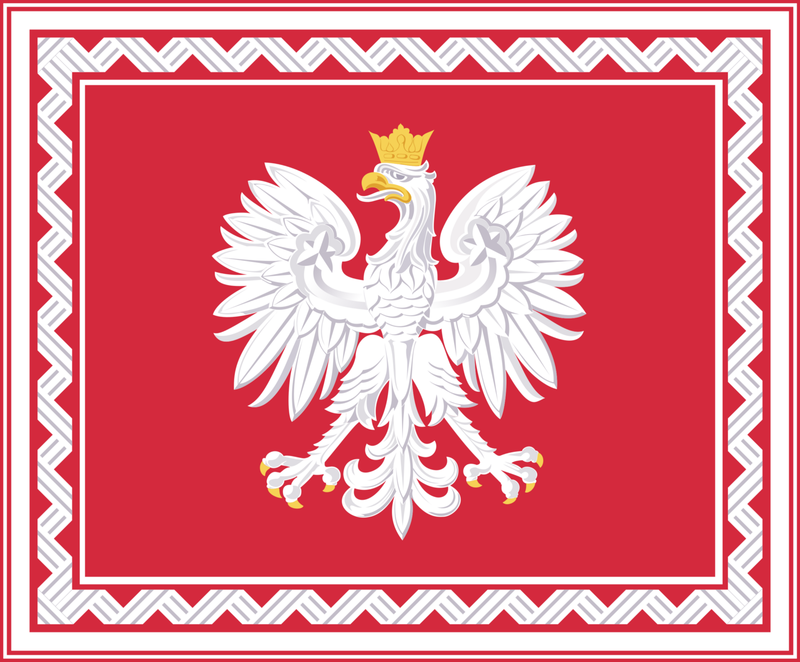 Official standard, office of the Polish President. 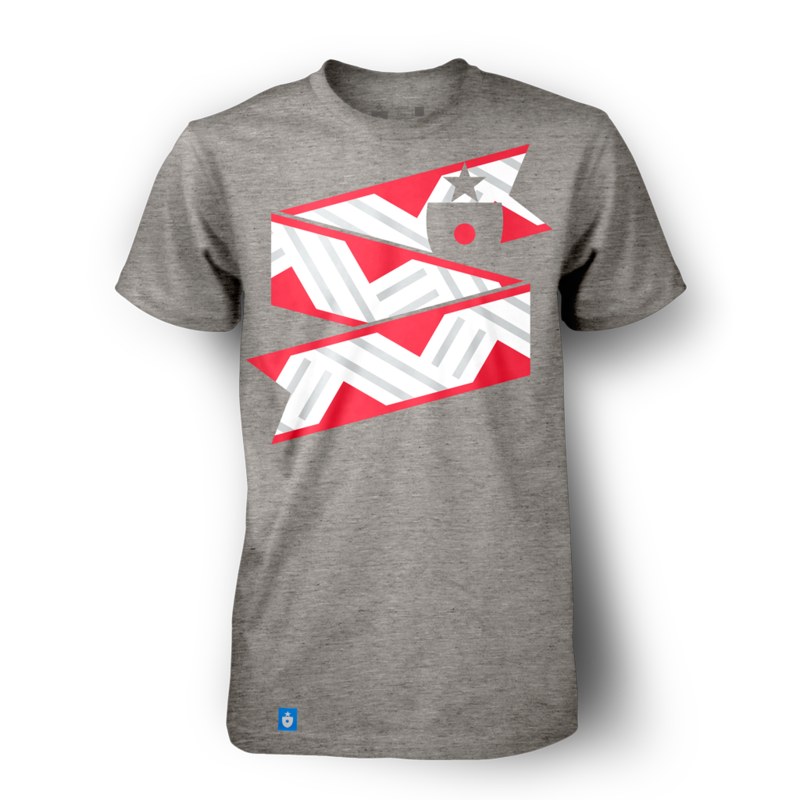 For the resulting shirt, we wanted to keep that embrace of grey going — and gave Poland the only grey heather shirt in the collection. It’s different, and quite distinctive. The Poland Shirt, by Clean Sheet Co. The poster and scarf applications contain a nice balance of red and lighter tones — and the poster, particularly, has a very appealing retro look to it. 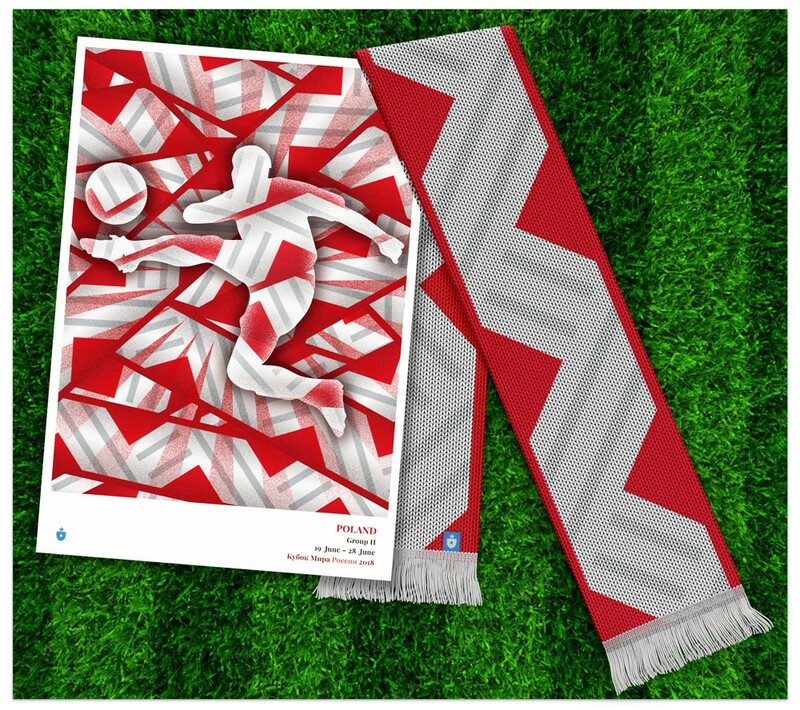 The Poland poster & scarf. As a pre-existing soccer brand goes, Poland is a bit of a nondescript entity. Embracing silver and grey gives them just a little bit of extra individuality — something they’ll need to forge an identity worthy of taking on more established powers. As you may remember from our introductory piece, eight groups ago, we originally forgot to design a Senegal ribbon. 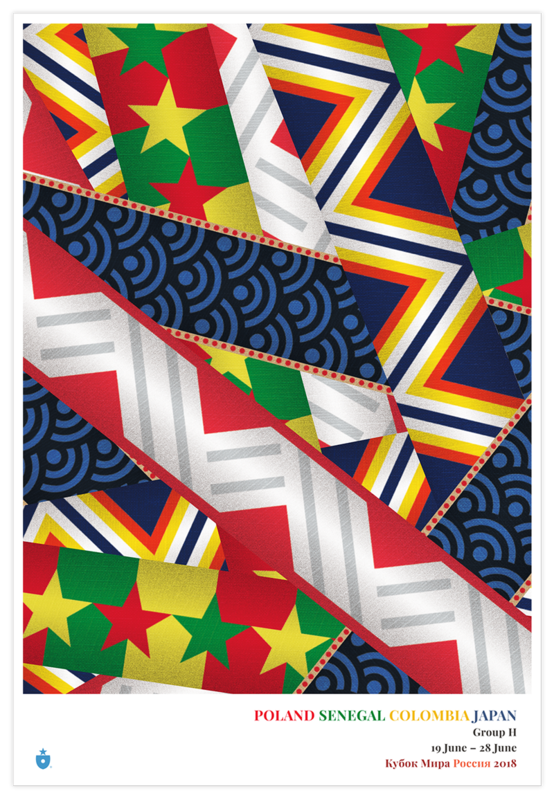 Circling back and working on a that Senegal identity as the last ribbon turned out to be an absolute joy — the colors and tones of the countries identity are just brimming with life and energy. It felt like the perfect final piece to this project. In the end, it came down to the flag. 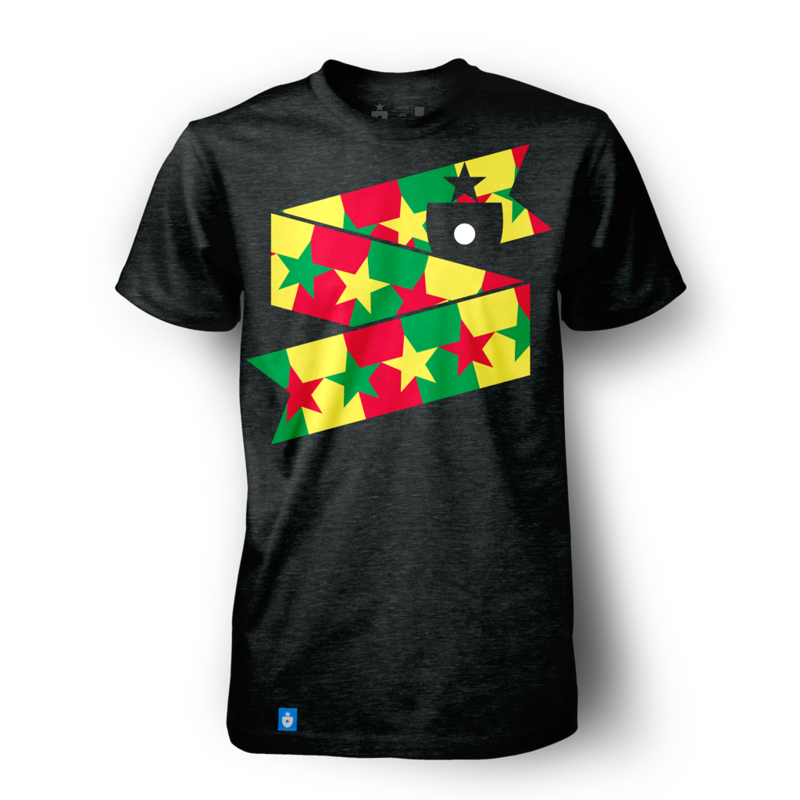 The Senegal Shirt, by Clean Sheet Co. The poster is completely wild — it looks like an ad for fireworks. We love it. The scarf is more staid, but still completely celebratory. 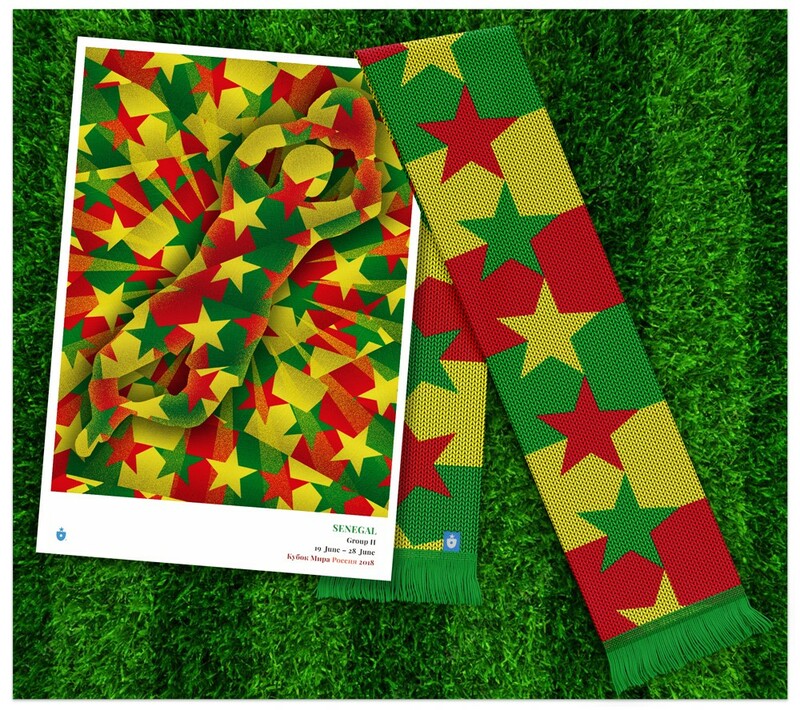 The Senegal poster & scarf. After sweating so many intricate and specifically nuanced designs, it felt right to find Senegal waiting for us at the end of this project. When a beautiful concept just clicks — we live for that feeling. We hope it does Senegal proud. Colombia has a very specifically beautiful national color scheme. Deep blue, fire red, sun yellow and white combine in incredible ways, but it’s the latter three colors — red, yellow and white — which fascinate us. When placed side by side, they can connote the appearance of a heat gradient, moving from red hot to white hot. The radiation from those colors together is almost palpable — and the effect is heightened when the cool blue arrives contain and channel the energy. Our specific inspiration for the pattern comes from a style of indigenous Colombian jewelry — and specifically a beautiful necklace. A selection of Emberá-style collar necklaces. The collar pectoral, a wide, beaded collar style necklace, is a traditional product of the Emberá, an indigenous Amerindian culture that calls northern South America, and primarily Colombia, home. Emberá live in a tribal culture, largely unmodified by modern society. Their lives include ceremonies for which these traditional beaded necklaces are woven and worn. The repeating triangle and rhombus patterns are completely arresting — as are the colors used (including gradients that seem to give off that same visual heat). When it came time to put this design on a shirt, we used a navy base to corral and define the ribbon. We think it works well. 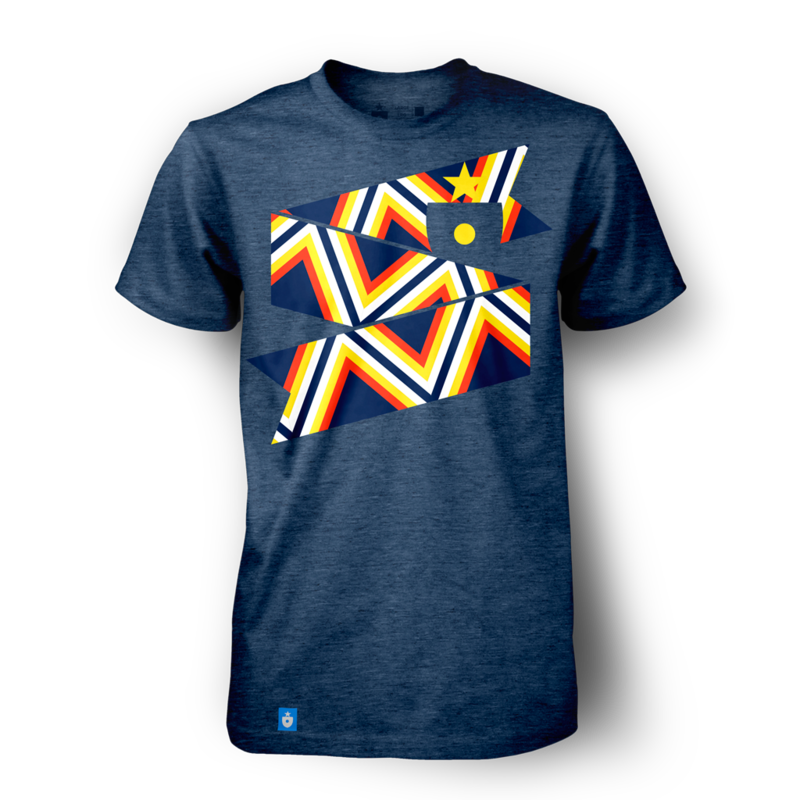 The Colombia Shirt, by Clean Sheet Co. 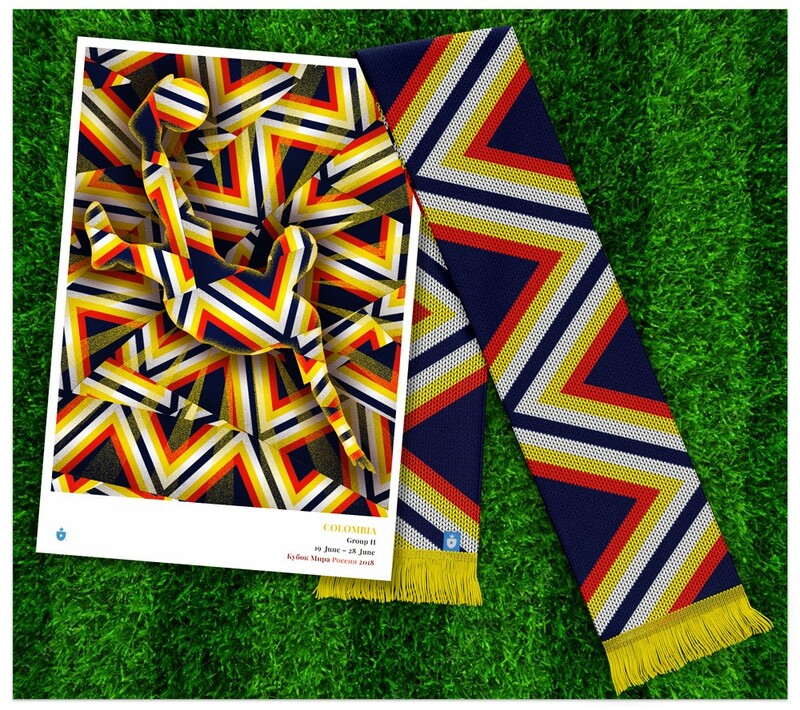 The Colombia poster & scarf. Colombia is poised to make some noise at the 2018 World Cup — and they’ need every bit of heat they can muster. First, the wave. 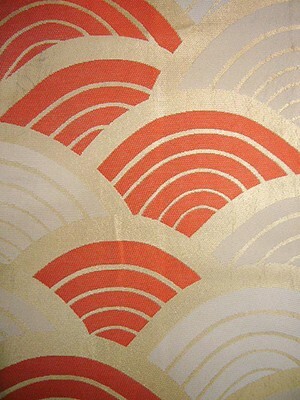 The seigaiha is a pattern with a rich cultural history in Japan. 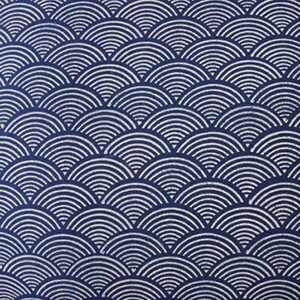 Originally used on regional maps for centuries by Chinese and Japanese explorers, the seigaiha (literally, “blue sea and waves”) pattern developed into a specific style — concentric circles placed one atop the next, repeating ad infinitum. This pattern and the waves it represented came to connote good luck (specifically, a wave-like surge in good fortune) as well as resilience. 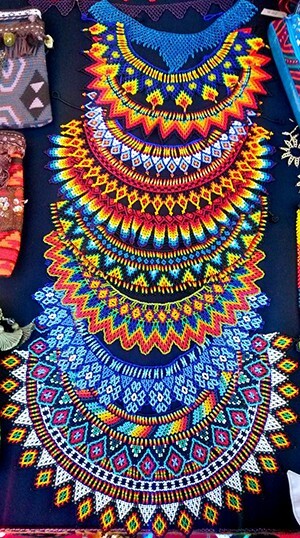 The pattern was often found on clothing, especially kimonos, dating all the way back to the 6th century. The rising sun motif, meanwhile, most likely needs little introduction to most. Japan’s flag, still so beautifully simple (a red circle against a white field), deserves to be honored somewhere in this endeavor. Applying a repeated sun-as-dot effect to the ribbon’s edges yeilds a finished product that looks almost like a piece of fine Japanese washi paperstationery. 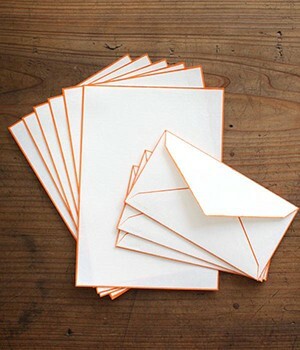 The light color behind the dots is an organic, orangey white to further give the impression of parchment or paper. 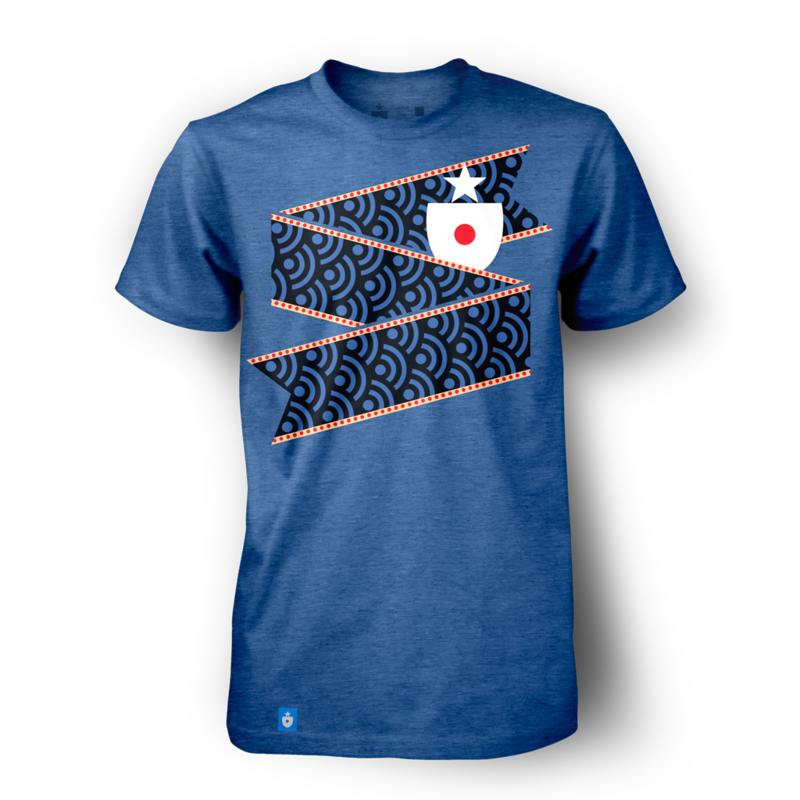 The Japan Shirt, by Clean Sheet Co. The waves really stand out on both the poster and the scarf. The scarf, in particular, seems vibrant and energetic, even when most of the body is taken up with dark tones. 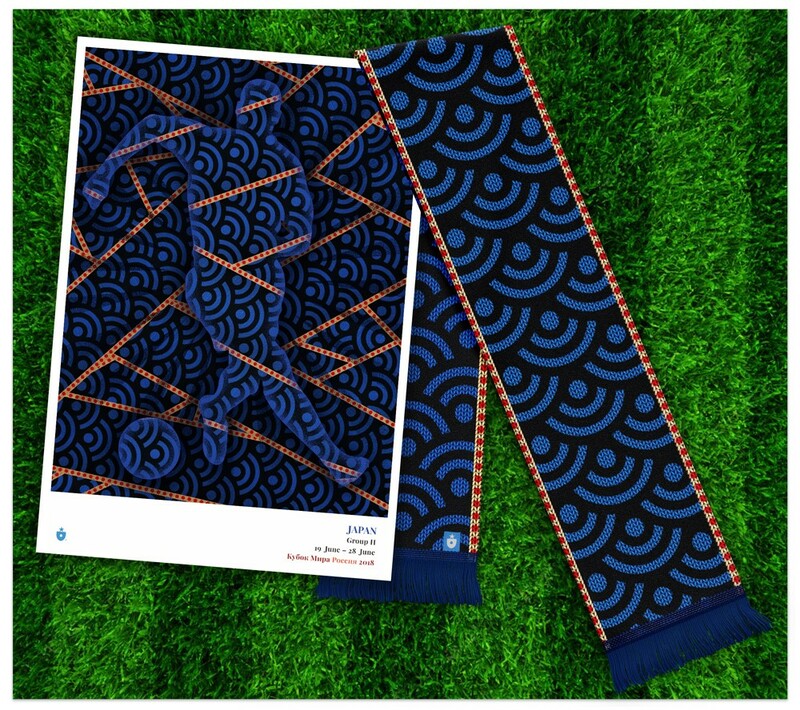 The Japan poster & scarf. With some luck (perhaps a surge of it? ), Japan has a fighting chance to make it out of the round robin and into the knockout rounds. If Japan’s talented team makes it out of the group, it seems like the blue wave could take them anywhere. Once again, we’ve made a poster for Group H. Like the national posters, these 11″ x 16″ group poster prints created with a gorgeous gicleé process and printed on your choice of stock (we prefer heavy photo rag, but you can’t go wrong). I can attest they look stunning. Eight groups down. We’re done! Thank you for joining us during this incredibly enjoyable trip through the 2018 World Cup field. This was fun. All the shirts are here. We’ll talk soon.